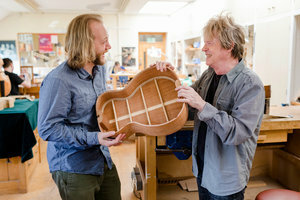 West Dean College has an international reputation as a centre of excellence for the Creative Arts and Conservation. Across both Schools, the role of research is essential in underpinning the college's academic ambitions, helping West Dean to be at the forefront of the specialisms it supports, positively impacting it as a teaching and learning environment. 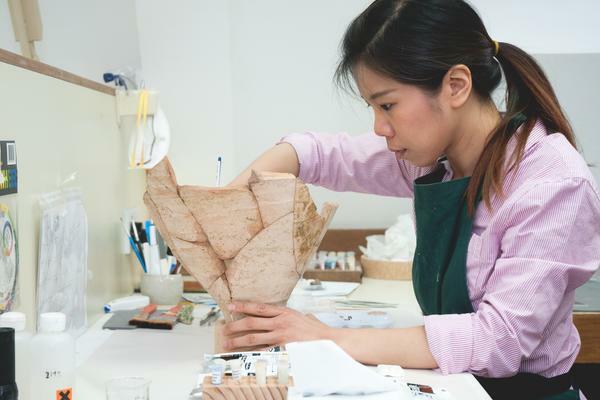 Research projects are key to establishing new and innovative practices, emphasising the importance of skills-based making and conservation, as well as demonstrating the value and scope of interdisciplinary collaboration. Research at West Dean College not only benefits students, staff and specialist audiences but also wider academic communities and the public. The College is privileged to be on a site of historic significance, both in relation to the heritage of the West Dean Estate and its more recent associations with the life and work of its founder Edward James. As a small, specialist college its core concern is the practice, history and theories of creative arts and conservation practice. The two Schools of Creative Arts and Conservation characterise the academic infrastructure and support the college in both discipline-specific and interdisciplinary discourse and development. West Dean College is dedicated to supporting research in and across the subject areas of Conservation, Making, Visual Arts and Creative Writing, as well as engaging with the wider research community both nationally and internationally. 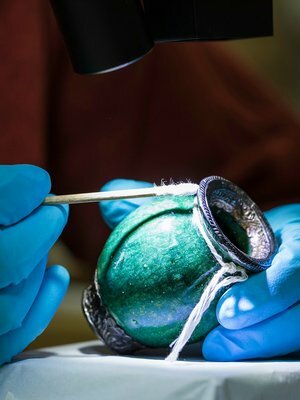 The Conservation Research Group supports research into the conservation of cultural heritage by conservators, curators, academics, and full-time students related to the conservation disciplines studied at West Dean College (books and library materials; metals; clocks; ceramics, stone, and glass; furniture and decorative objects). The Group facilitates symposia, seminars and research fora into all aspects of interventive and preventive conservation, as well as conservation science. It also coordinates the Conservation Research Fellow programme. The Group aims to encourage and develop research activities amongst the academic staff, to take full advantage of the facilities and equipment at West Dean to take active part in the development of new techniques, knowledge of materials science, and generally furthering understanding and interpretation of heritage. Such activities enrich the learning environment for students and provide future opportunities for meaningful impact in the conservation community. Research interests: teaching science for conservation, analytical techniques for conservation, overlap of science into visual arts. The Tapestry and Textile Art Research Group facilitates exchanges between academics, professional weavers, artists and full-time students interested in questions of tapestry and textile art practice. The Group explores, through seminars, symposia and practice-based research, various aspects of the creative, material and technical processes involved in the field of tapestry and textile art from both historic and contemporary perspectives. The aims of the Group are to enable members to develop their contextual, practical and theoretical understanding of tapestry and textile-based work. This is achieved both through examination of existing practices and through discussion with colleagues from diverse backgrounds, deepening wider historic and theoretical research interests. 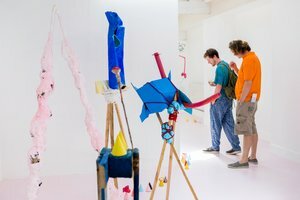 The core group comprises a small number of staff from the West Dean Professional Tapestry Studio and students and staff from the full-time Visual Arts programme, which supports specialisms in hand-woven tapestry and textile art practice. 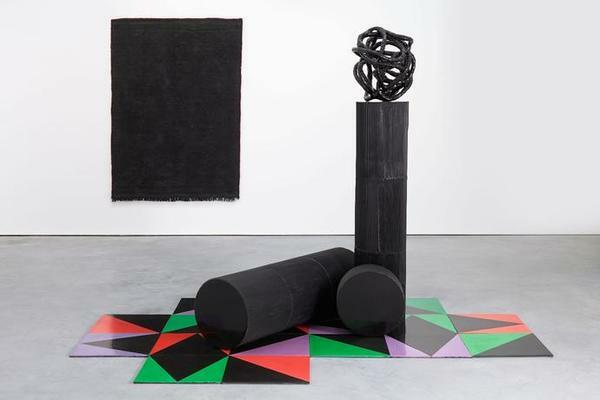 Image: What I Want 2014 by Eva Rothschild winner of West Dean Tapestry Commission Open Call 2016. The Edward James Research Group is committed to supporting the research activities of academics, conservators, artists, art historians, and full-time students interested in the legacy of West Dean College's founder, Edward James. 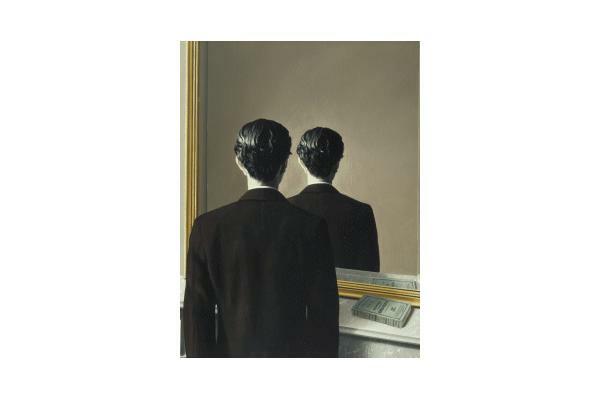 Through research fora, seminars, symposia and practice-based research the group explores various aspects of James' activity, including visual art, Surrealism, conservation, poetry and fiction writing, horticulture, architecture, patronage, musical composition and dance. The Edward James Research Group encourages engagement with James studies from both historic and contemporary perspectives. The aims of the Group are to enable members to develop their understanding of Edward James' life and work, and further establish West Dean College as a unique and supportive environment for study across the creative arts, conservation and making. This is achieved both through close examination of existing research material and through discussion with colleagues from diverse backgrounds to deepen the wider historic, theoretical, and practice-based research interests. As such, it provides access to innovative thinking and establishes networking opportunities for West Dean staff, students and visitors alike. The Group organises the Edward James Research Programme, an on-going series of academic and educational events open to the public, and supports study visits to the college from external researchers. The group also liaises closely with the college's Artist-in-Residence programme. One-day Symposium - The Old Library, Saturday 24 October 2015, 9.30am-5pm. This Symposium considered the impact of Mexico upon the life and work of West Dean College founder, Edward James, from his earliest visits to the country in 1944, until his death forty years later. 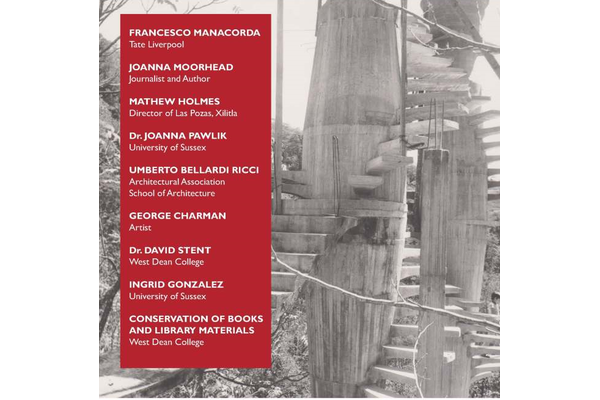 Papers from a variety of guest speakers addressed a range of subjects, including the creation and impact of 'Las Pozas', Xilitla, to James's enduring friendships with other artists associated with Mexico, such as Leonora Carrington. The event also considered activities preceding James's presence in Mexico, proposing precursors and associations for his later work. A unique publication relating to the theme of the event was launched after the symposium.